After quickly devouring a bowl of soup, I was trying not to lick my plate clean from my Roasted Beet & Quinoa salad at Panera Bread because I was sitting across from a dainty red-head who despite being 8 months pregnant was somehow calming munching on a baguette and sipping on her own bowl of black bean soup. It was freezing cold this mid January evening and the sun had started to set even before I had left my office that day. I was trying not to think about how I should’ve ordered a panini in addition to my soup and salad and refocused my attention on our conversation. Peanuts. We began talking about peanuts. My favorite topic. Not surprising to me, I somehow find myself engaged in peanut conversations in every situation throughout my day. I have grown up in a peanut butter family in which morning, noon and night my parent’s conversations revolved around peanut butter. Today I am the second generation owner of our family’s all-natural peanut butter company and my own 4 kids are witnesses to the peanut butter conversations I have with my husband morning, noon and night. But sitting here with my adorable red-headed preggo friend my enthusiastic talking about peanut butter was infectious. I could see the excitement in her eyes as I explained to Eryn that we FINALLY have a solution to our problem. Our peanut allergy problem. The rapidly increasing number of children developing peanut allergies in United States has been a huge concern to the entire peanut industry. 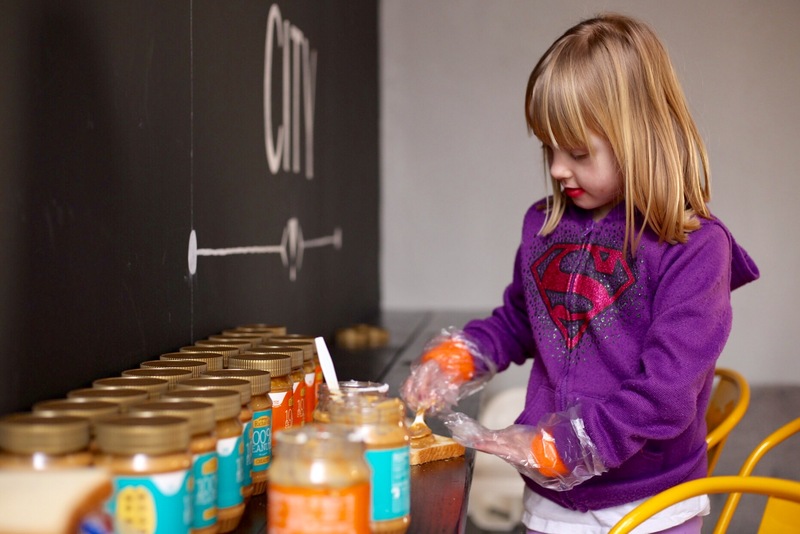 For years the National Peanut Board and members of our American Peanut Council have been funding research projects and studies to try and learn what is triggering this increasing number of peanut allergies. And our solution came as a giant LEAP. “Peanut allergy is an aberrant response by the body’s immune system to harmless peanut proteins in the diet. The prevalence of peanut allergy has doubled over the past 10 years in the US and other countries that advocate avoidance of peanuts during pregnancy, lactation, and infancy. 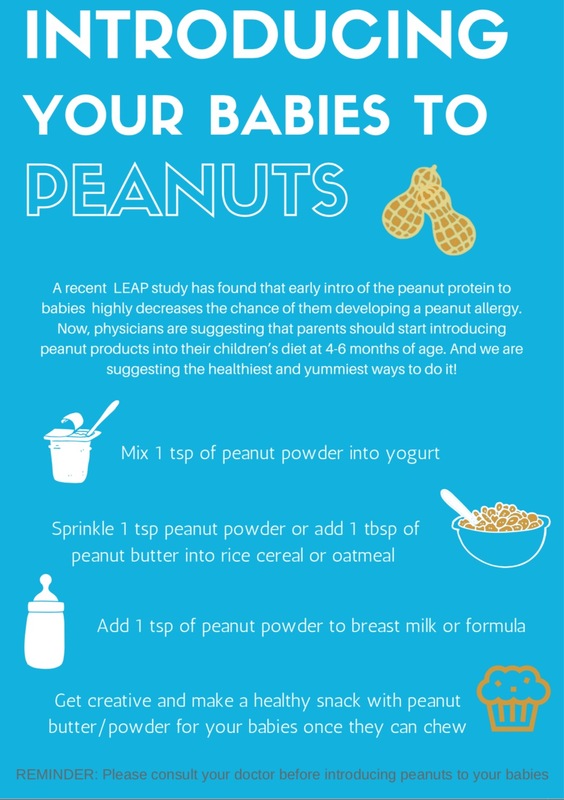 The LEAP study was based on a hypothesis that regular eating of peanut-containing products, when started during infancy, will elicit a protective immune response instead of an allergic immune reaction. 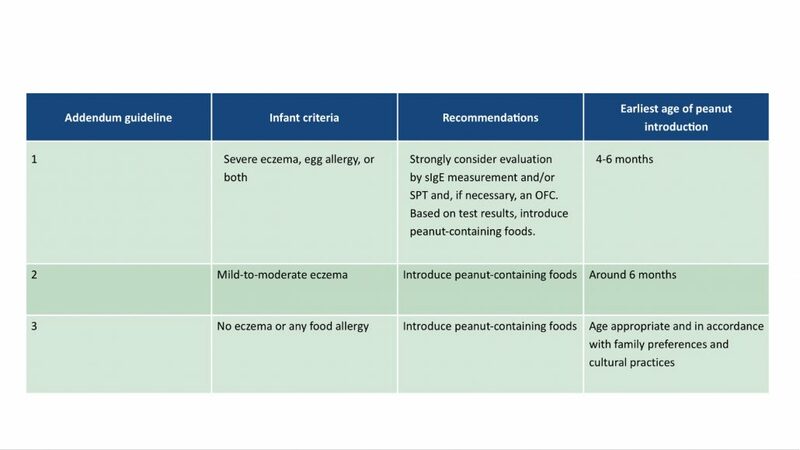 Even though last year the American Academy of Pediatrics (AAP) had accepted the findings in the breakthrough, it was only just in the beginning of 2017 that news broke that the AAP officially changed their recommended infant feeding guidelines to encourage parents to introduce peanut proteins between 4-6 months of age in an effort to PREVENT the life threatening peanut allergy from developing in that infant. They officially adopted the NIAID (National Institute of Allergy and Infectious Disease) addendum guidelines for the prevention of peanut allergy in the United States. 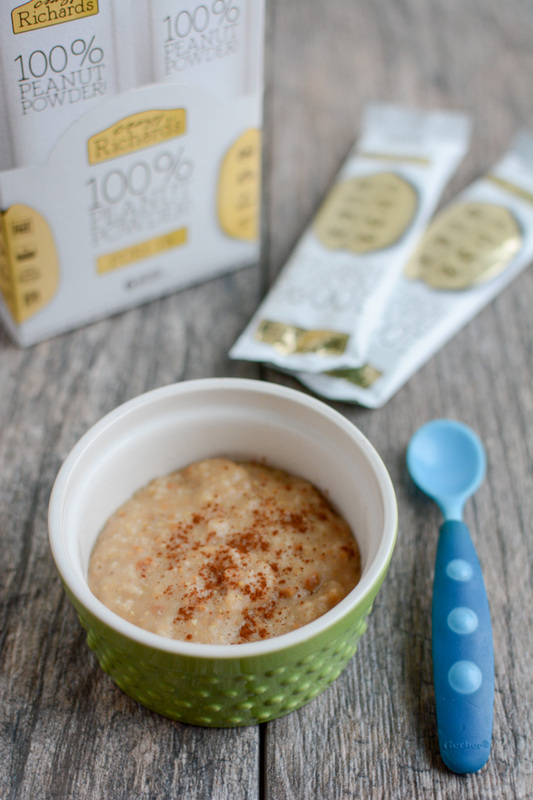 Further studies have been done to show that continual exposure to peanut proteins in everyday foods can help the body maintain this protective immune response instead of fighting agains the peanut proteins. It was explained once to me that this continual exposure to a peanut protein is similar to receiving a vaccination. Infants and babies are given vaccines to help prevent their bodies from developing diseases such as polio, hepatitis and the chickenpox. It seems that this same methodology carries over when trying to prevent food allergies. 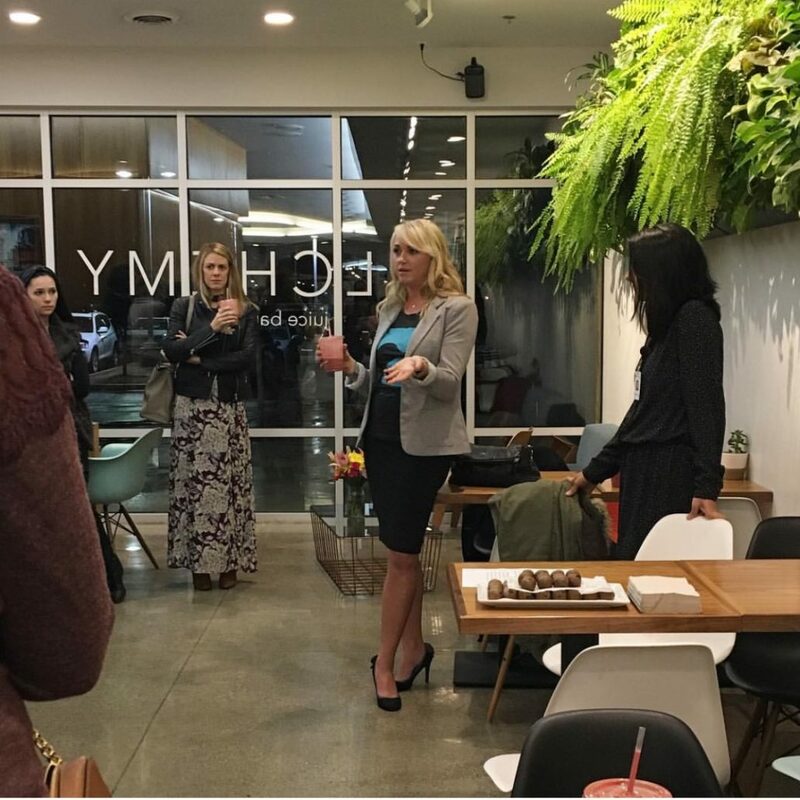 Eryn and I both walked away from Panera Bread that night with a plan to help spread this message to other moms and dads in our community by co-hosting a Peanut Allergy Prevention Awareness Event. 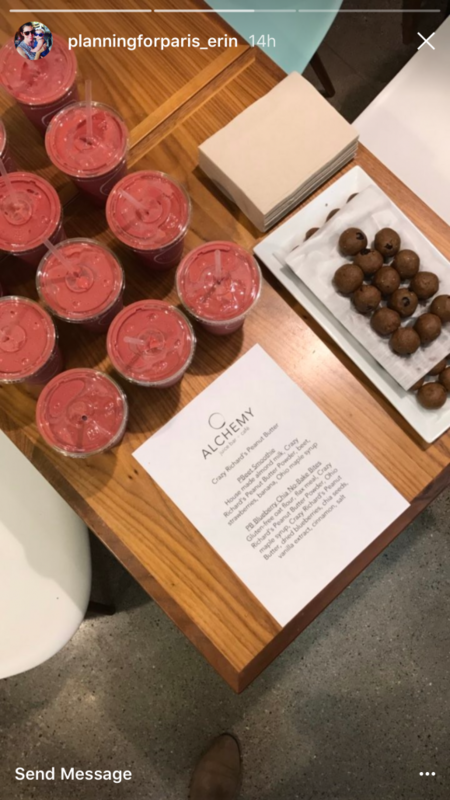 Alchemy Juice in downtown Columbus was the obvious choice for the venue for various reasons including its friendly open floor plan, health-conscious menu and trendy location. 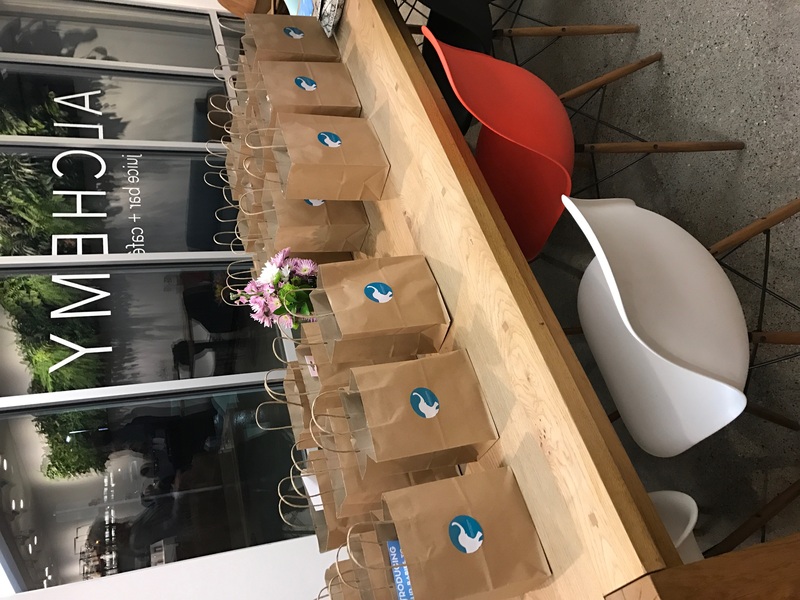 The focus of the evening was of course socialization and great food with a brief educational explanation about peanut allergy prevention awareness. 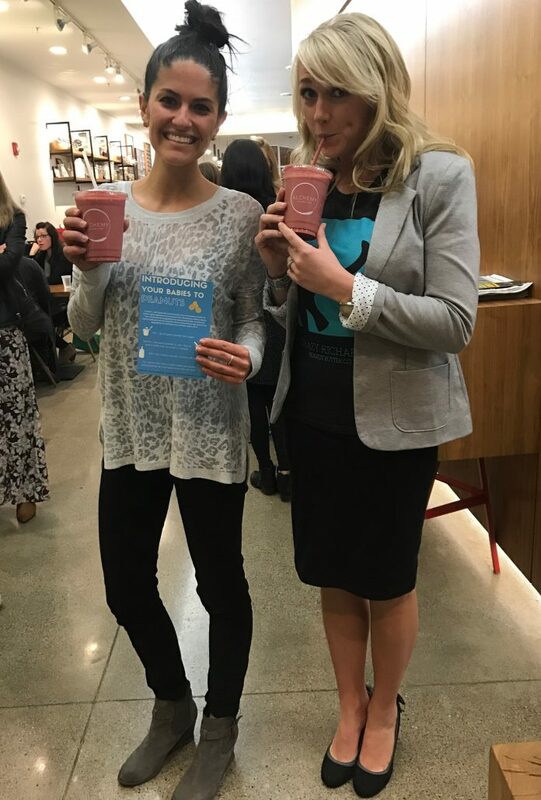 Local Columbus foodie and mommy/daddy bloggers were able to enjoy specially crafted PBBeet Smoothies and PB Energy Balls featuring Crazy Richard’s PurePB Peanut Powder thanks to Alchemy Juice owner – Alexis Joseph, RD who blogs over at Hummusapien. First I explained to the bloggers about my conversation with Eryn beginning with the troubling statistics showing a rapid increase in peanut allergies here in the United States and how our peanut commodity board was able to help fund groundbreaking research studies that proved prevention is possible. Then we heard from Pediatric Allergist Dr. Gital Patel from Premier Allergy who answered questions about the appropriate time and location to introduce peanuts to infants and what signs to look for when identifying food allergies. Info Table when to introduce peanuts to infants. 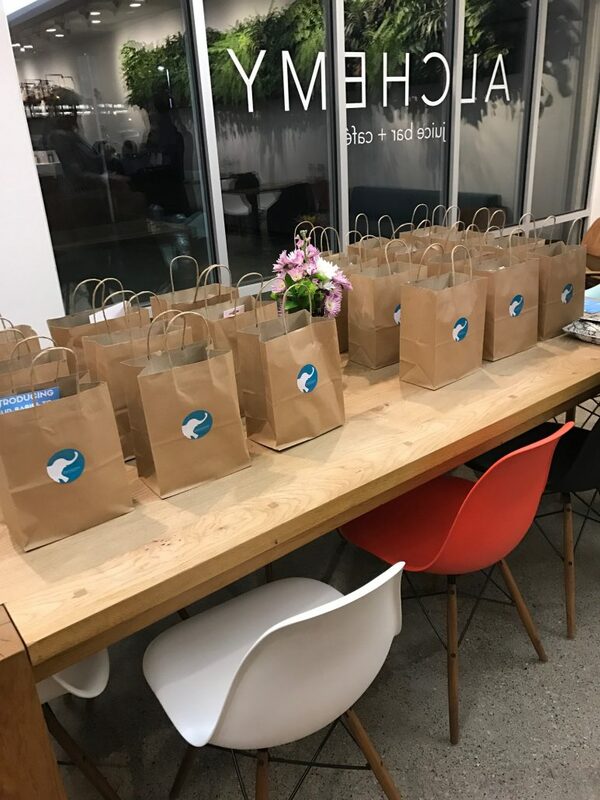 In addition to the PBBeet smoothies and PB treats, all attendees left with a goodie bag of peanut products from Crazy Richard’s PB. But the best news is that today more than 99% of the American population can enjoy peanuts without issue, only a reported 0.6% are affected by peanut allergies. And hopefully with this new solution of LEAP that small but fierce percentage will begin to decline. 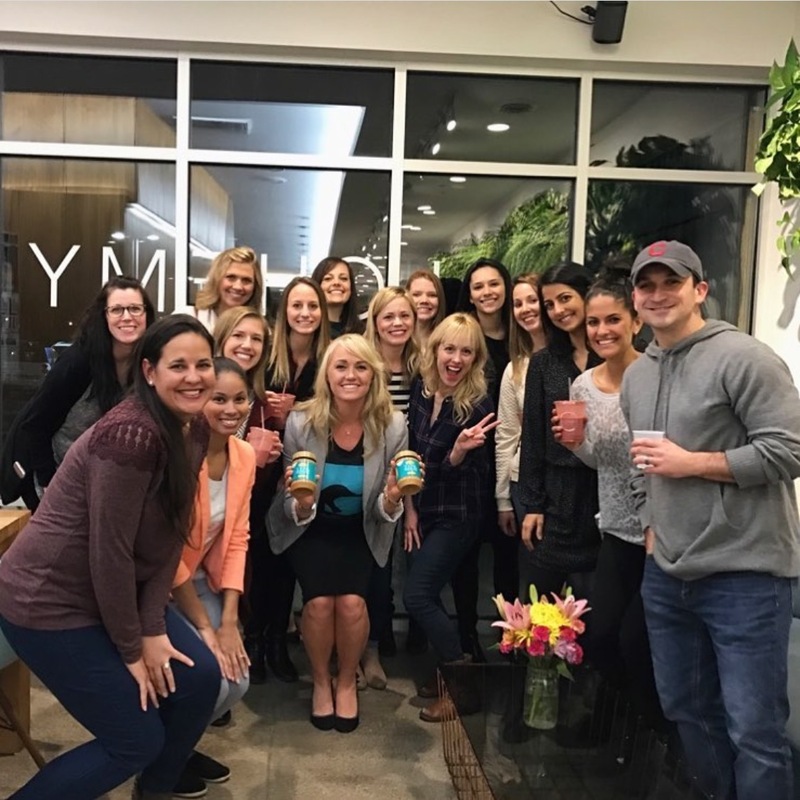 I’m glad this awesome crew was able to join us at Alchemy Juice last night! Columbus has this fantastic scene for healthy food, good businesses and awesome people and Crazy Richard’s PB is proud to call Cbus our hometown.